The Latest in Celebrity News, Red Carpet Moments, Viral Videos and Breaking Celeb Rumors! 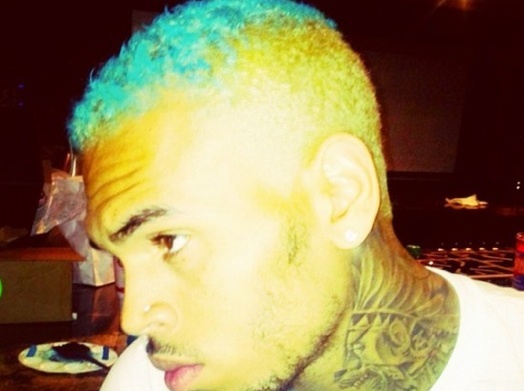 : Chris Brown Debuts his Blue Hair! Chris Brown Debuts his Blue Hair! He went from black to blonde and now blue! Singer Chris Brown took to instagram to debut his blue mohawk haircut.... Read more for details..
Chris Brown's Team have also confirmed that he wont be attending the VMAs in which has been nominated for Best male video along with his co - fighter Drake.. Click HERE to view the craziest hairstyles by celebs! Dont forget to COMMENT on Chris Brown 's Blue hair!